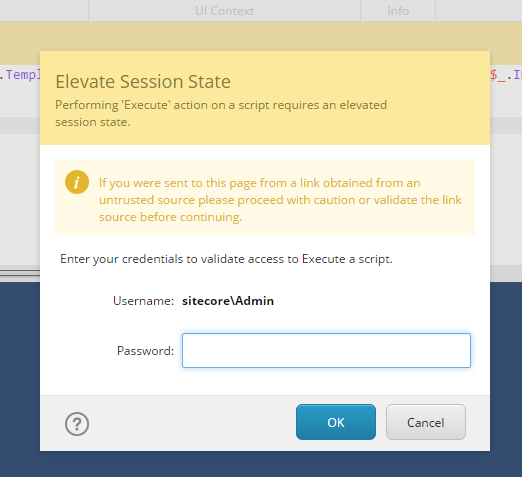 In today’s post we will review an interesting feature in Sitecore Powershell Extensions: How to elevate your session without having to provide your credentials. I’m using on today’s post SPE 4.4.1.29973 and Sitecore 8.2. 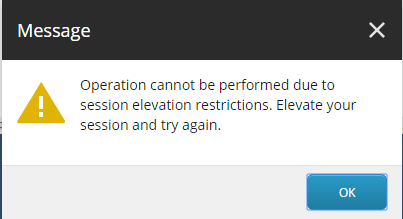 I’m logged in as admin(and yes “b” is still my password) so I’m already an admin with elevated privileges right? so what else should I do? You might be wondering what are gates and tokens. If you are have a look on this link. So there are essentially two ways for you to elevate that privilege. One is to increase the expiration time on the ISE token, for example for a few hours or days. But you will have to provide your password at least once. Or you can essentially change to value of the attribute elevationAction. In the code above it’s set to “Password” which means that you have to provide your password. The other values you can set are Block and Allow. Allow will essentially achieve what you are looking for. You will be able to run scripts as much as you would like without providing your password.